As a company launching new technology in the therapeutic market we have found that through our travels and experiences we gain an ever growing informational database that is key to our success and showing the world how wonderful Celliant® truly is; after all, knowledge is power. By adding to our already extensive knowledge base, we have created an Advisory Board to better round out our information; complete with individuals from a competitive, international, and/or research based background. The Board will continually allow us to gather valuable information to move our products and philosophies forward in a positive and effective way. They are able to expose us to new ideas and different perspectives within their area of expertise that we may not have had otherwise. Not only do these individuals stand behind our products (which is our first requirement) they also help us to develop products that will benefit our clients the most. Members of our Advisory Board come to us with the basic belief that the Draper products are truly special and stand behind our Draper Dogma which is the basis of who Draper Therapies is. It's not a sponsorship. It's a community to bridge long term connections through dedication of honest communication and expertise. Money is not a factor in keeping our relationships alive and well and because of that we operate without agendas, focusing on becoming better people and growing through our combined expertise. If you'd like to learn more about our Draper Dogma or have questions on the professionals who have become members of our Advisory Board, please email info@drapertherapies.com. Madeline started learning how to ride when she was eighteen months old, and competed at her first horse trials at the age of 7. She learned all of her basics at her mom’s Pendragon Stud Equestrian Center in Larkspur, Colorado. At 19, she became a working student for the Ranshousen’s in Pennsylvania. Madeline travels between Florida and Pennsylvania to train and compete. She has also been in Pony Club since she was just four years old, and achieved her Pony Club A certification in 2015. Madeline has competed through CCI*** level with P.S. Arianna, a horse that has been has been with her for over 10 years. Madeline and P.S. Arianna have grown up together, and will be competing at their first Rolex Kentucky Three-Day Event this year. Madeline has competed many other horses in Eventing and Dressage, and holds her USDF Bronze medal. She was listed to the 2016 and 2017 Eventing 25 Emerging Athlete lists, and continues to follow her passion and reach her goals of competing at the most prestigious competitions in the country, with hopes of competing worldwide. To do what I love, and reach my dreams and goals. Brandenburg Equine Therapy offers a multitude of holistic equine treatments including Reiki Massage, acupressure, pulsing magnetic therapy, laser therapy, common sense stretches, as well as equine hair mineral analysis. They strive to "help the horse help you", that is, to provide the best holistic care to equine athletes, with a specific focus on improving circulation and blood flow. Linda and her husband Steve own and operate Caddel Equine Therapy Center, established in 1996, located 10 miles north of the Kentucky Horse Park. Linda grew up on her family's grain and livestock farm in Iowa, the same farm established in 1860 by her great, great grandfather; she graduated from Iowa State University with a degree in Agricultural Journalism and a minor in Animal Science. 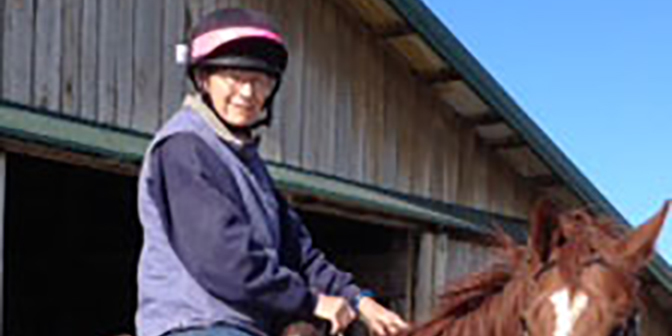 As a youth, Linda was very active with her horses through the 4-H and youth Quarter Horse programs. Linda describes, "in my previous lifetime, I worked for a variety of horse and cattle magazines; my favorite experiences were during my time as Associate Editor and later Editor of Horseman magazine in Houston. It was as Editor that Linda met her future husband Steve Caddel, then Broodmare Manager of Granada Equine Services near College Station. While at Horseman Linda traveled the United States writing about, photographing, and even riding with the country's top horsemen. When the Caddels moved to Kentucky in 1988, Linda continued working in journalism and marketing. Clients included major Thoroughbred farms and organizations including the American Association of Equine Practitioners. In 1996, Linda and her husband, who works for Farmers Feed Mill, put their technical skills in equine management and nutrition to use to fill a void in Kentucky's horse industry. The business focused on post surgical and post-hospital care but it quickly evolved into long-term recovery and rehabilitation of equine athletes. Steve and Linda's daughters actively participate in the horse industry. Oldest daughter Katey currently works with Bill Mott's racing stable and Jessica continues to work in the family business though she is now a sophomore at Bellarmine University. Caddel Equine Therapy Center is a 54-acre facility that specializes in high-maintenance horses of all disciplines and classes. Professional staff includes the Equine Therapy Supervisor, full-time barn and maintenance personnel, horsemen who specialize in therapeutic riding, and specialized Physical Therapists. It is a privilege to work with the country's top veterinarians and associated professionals in caring for all types of horses, from elite athletes to the back-yard horse. I have to say it is the entire line of Draper products; The first products we tried were the Recovery Wraps that our Physical Therapist purchased at the 2010 World Equestrian Games. We used the wraps extensively on a chronic cellulitis case. We were pleased with the results and progressed to polos, the quarter sheet, the stable blanket, and into the human products. We have given the nap blankets as gifts to friends and have used the wrist, elbow and knee braces on ourselves. The relief has been absolutely remarkable. I even have some of my veterinarians prescribing the polos to their clients. Importantly, in addition to be effective, the fabric is durable enough to hold up to daily washing and drying. We continue to use the original sets of polos and Recovery wraps we purchased in 2010 and they still look new. My husband Steve. Steve is the best horseman, the most honorable person and the best teacher I have met. He grew up on his family's ranch in Uvalde, TX, and is a very creative individual in terms of managing horses. I have always been a keen observer of a horse but Steve has taught me how to safely and effectively work around even the most difficult of individuals. When we started our business, Steve was the front person because he could articulate protocols and disorders to our clients. I did the hands-on behind the scenes work. He gave me the confidence to develop the vocabulary and skill to talk to our clients and to implement complicated recovery protocols with our team of doctors and professionals. My other Role Model would be my dad, Dale Blake. He instilled in me "Can't Never Could." Our mission at Caddel Equine Therapy Center, LLC is to provide a healing environment for our patients, to provide a safe and stimulating working environment for our staff and to enhance the health and welfare of horses world-wide through protocols developed at our center. On a personal level, my goal is to enjoy more time with my own horses, family and friends. I count my blessings for being able to work with the very brave horses in our care. Barrel racing is Jenna's passion. She began competing at an early age as her father is an avid team roper and encouraged involvement with horses. She worked her way through junior and high school rodeo, then attended Central Arizona College on a rodeo scholarship. She competed at the College National Finals multiple times and joined the Women's Pro Rodeo Association (WPRA) in 2003. She has since ventured into the Futurity and Derby aspects of barrel racing and enjoys the opportunity to work with young up and coming equine athletes. 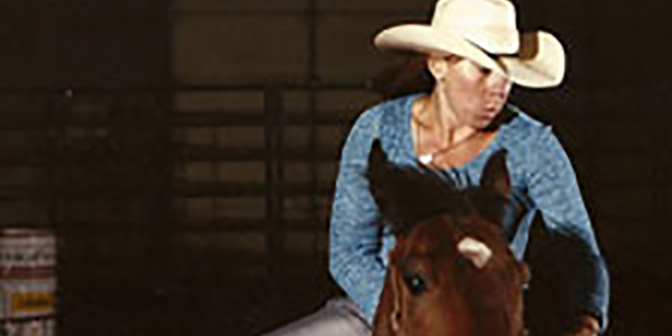 Before becoming a full time barrel horse trainer, she worked as a veterinary technician at an equine surgical center that specialized in equine orthopedics. Keeping my horses pain free and as comfortable as possible is of the utmost importance. Born in Jackson Hole, Wyoming, Graham moved to California as a child and quickly developed an insatiable love for the water. 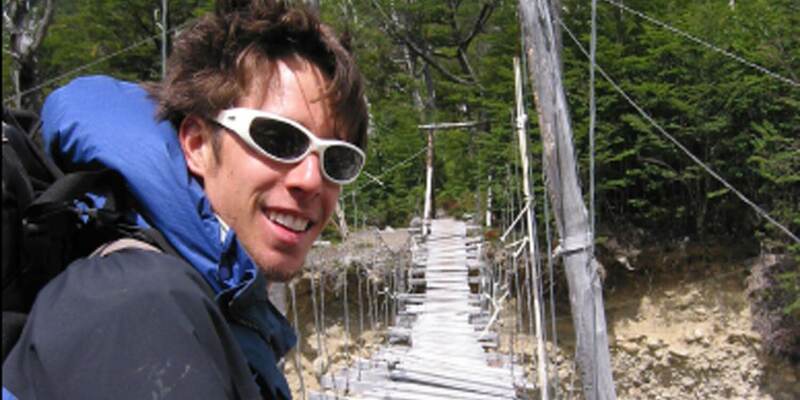 After eighteen years on the ocean, Graham moved to Boulder to attend the University of Colorado. He has traveled far and often and had the privilege of seeing much of the world by the time he finished college. For him, the importance of traveling is in its rewards: knowledge, insight, experience. He learns much about himself, about life and about the world. Graham is a CU alumnus from the Leeds School of Business, a Professional Association of Diving Instructors (PADI) Master Scuba Diver Trainer and underwater photographer with hundreds of logged dives around the world. As a sentient being and small business owner, his goal has been to create products and experiences that enhance people's lives and affords them the opportunity to witness the same magic he has been fortunate enough to experience. Dog Beds (I have 4)! Shift the paradigm of the dive industry and established a precedent for accountability and preservation. "Working with horses was all I ever wanted to do from my earliest memories," says Katherine. "I have always been obsessed. I spent my early life in England and then moved to the US when I was in middle school. Before I graduated high school I started working for Robert Dover and stayed with him for 16 years. Then I had an opportunity to take on the horses he had been competing for Jane Clark and go out on my own. I now am so lucky to get to compete horses jane owns in international competitions both in the USA and in Europe. I spend most summers in England training with Carl Hester who has become a great influence on my riding. In the states I ride with Debbie McDonald who complements Carl and Roberts training perfectly! I have two international competition horses at the moment. Wellnetta who is competing Grand Prix and Alcazar who is competing intermediare II and will soon do his first Grand Prix." Thru hike the Pacific Crest Trail (2,650 miles) and the Continental Divide Trail ( 3,100 miles) to accomplish the Triple Crown! Geneva and Scout put some serious wear and tear on their bodies and we’re going to help them keep feeling their best. We’re excited to be a part of their amazing adventure! 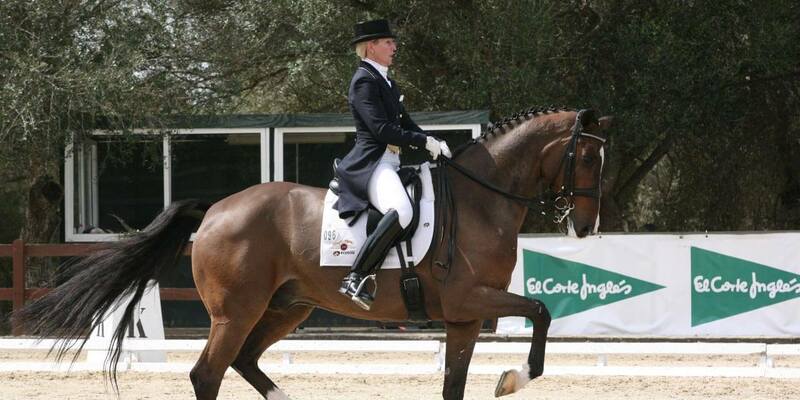 Susan Dutta is an international dressage rider who has been in the winner's circle for over a decade. Susan balances her riding life with being a wife and mother, and currently commutes between Germany and Florida. While her home base is South Florida, her horses live in Europe where Susan trains with Rudolf Zeilinger. Susan has three Grand Prix horses and several young horses in training and says she looks forward to continuing to develop her string of horses. Her husband, Tim, owns and operates the Dutta Corporation International Horse Transport and Susan serves as the Vice President of the company. 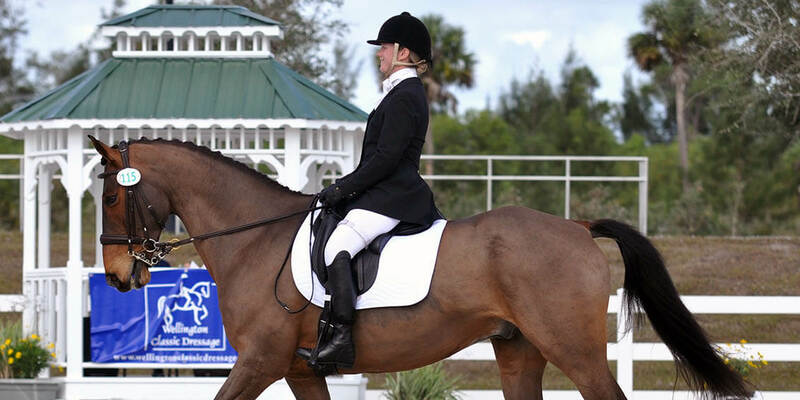 As one of the top ranked dressage riders in the United States, Susan's competitive highlights have included numerous wins and top placings at some of the nation's most prestigious events in Grand Prix, Freestyle, Open and Intermediare divisions. 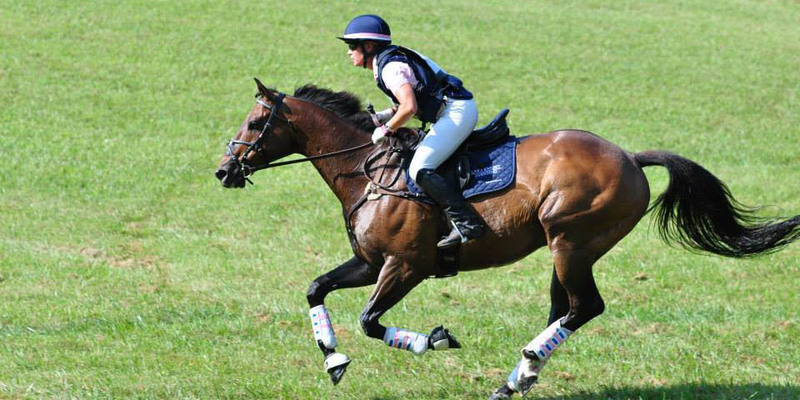 In 2007, Susan represented the United States as a reserve rider at the Pan American Games in Brazil. Her international career has yielded her an Individual Gold, Team Gold and Team Bronze all at one event: 2002 Coupe des Ameriques in Blainville, Canada. Rebecca “Becca” Hart was born with a rare genetic disease called Familial Spastic Paraplegia (FSP), which primarily affects her muscles and joints from the waist down. 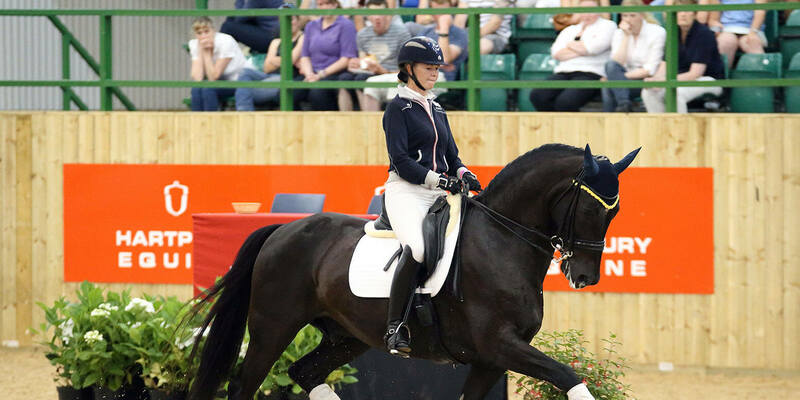 Rebecca began riding at the age of ten and has quite an extensive competition history. Rebecca has been the National U.S. Paralympic Champion in 2006, 2008, 2009, and 2010. In 2004, Becca was the first alternate for the Athens Paralympic team. 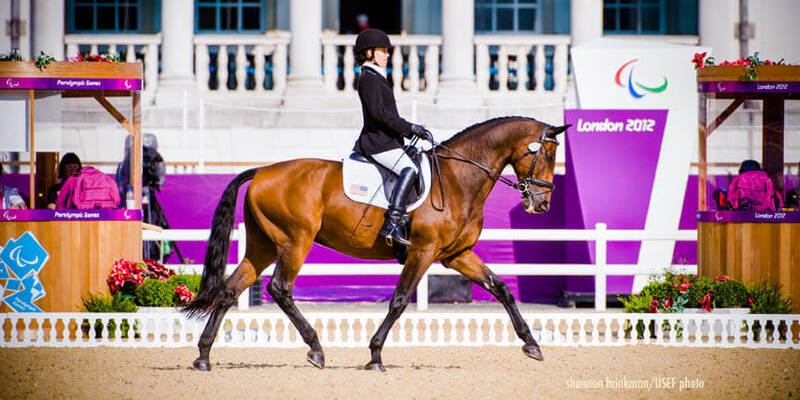 In 2008, she was a member of the United States Paralympic Equestrian team, competing in Hong Kong with her horse, Norteassa, taking 4th place in the freestyle. She also competed for the United States at the World Championships in England. She has done many demonstrations promoting riding and dressage for the disabled, and has spoken recently at several fundraisers to promote therapeutic riding. She has served as a youth consultant for the United States Equestrian Federation. In addition to riding in events for para-equestrian riders, she has competed extensively in shows for the able bodied. She and Norteassa have shown in the Prix St. George classes, and she has completed the elements for her bronze medal in dressage. Becca and Norteassa competed as an individual at the World Games in Kentucky. In 2011 Becca began a new partnership with a new horse, Lord Ludger. They were Champions at the 2012 Selection Trials at Gladstone, and went on to compete at the 2012 London Olympics. Becca, with her new partner, Schroeter's Romani, have their sights set on the 2016 Olympic Games in Rio, Brazil. "Stable Sheet, Anti-Sweat Sheet, and saddle pad. Anything to help keep their backs comfortable and supple is huge in this sport." "My sister Katie Hart. She is ridiculously brave and motivated. She is fabulous at keeping her cool and being able to preform under pressure. She is my best friend and I strive to have her level of composure in competition and life." Susanne Hassler has been an international dressage competitor since 2004 when she brought Hilltop's Royal Prince to the highest placing result for the US to date at the World Championships for Young Horses. Susanne won the Individual Gold medal as an FEI Young Rider and soon after dedicated her life to improving the sport and breeding industry. She and her husband, Scott Hassler have made many considerable contributions to the industry and built the foundation for top training and breeding facilities, including Hilltop Farm and their latest endeavor, Riveredge, a world-class training and education facility in Chesapeake City, Maryland. Tami Hoag leads a double life as a #1 New York Times bestselling author of spellbinding thrillers, and as a professional Grand Prix dressage rider. She has more than 30 million copies of her books in print in more than 30 languages worldwide. Titles include DEEPER THAN THE DEAD, SECRETS TO THE GRAVE, and two novels set in the Wellington horse world, DARK HORSE and THE ALIBI MAN. After spending years in other disciplines, she took up dressage in 1998 and has been riding and winning at the Grand Prix level since 2001. Her current mounts are Bacchus De Light, a 15 year-old Swedish Warmblood gelding, and Lonestar, a twelve-year-old Hannoverian gelding. Both will be pointed toward the 2012 Olympic trials. The Nap blanket for me, and the Saddle pads for my horses. Nothing is foolproof to a really determined fool. 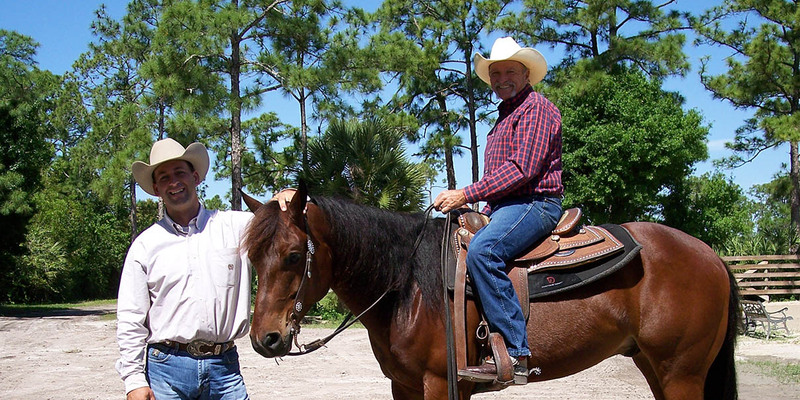 Jon has been a professional trainer for over 30 years, training his first horse when he was a mere ten years old. He has successfully trained and shown cutting horses, working cowhorses and reining horses during that time. Jon has earned nine word and national titles and has trained non-pro riders and their horses to become competitive partners at NHRA shows. Jon also attended Cal Poly in Pomona, California majoring in Animal Husbandry. He has supported and promoted the sport of reining for more than twenty years and was a founder and the first President of the Idaho Reining Horse Association. He continues to share his enthusiasm for the sport which includes working with his son as part of Ingram Training. Seth Ingram, Jon's son, is also an accomplished rider and trainer, finishing as a Top Ten rider in two Open Divisions in the NHRA in 2002. Since then he's trained and showed reining horses to several titles for the Double J Ranch and Ed Fear Quarter Horses and has shown successful in the 2008-2020 NHRA Futurities. Professional dressage trainer and instructor. Specializing in young sport horses, weanling through Grand Prix. Competitive but also enjoys coaching noncompetitive riders. Has a knack for attracting "problem" horses and helping both horse and rider. Currently owns an 11yo pony, 8yo Thoroughbred, 6yo Morgan, and 3yo Oldenburg NA as my future Grand Prix horse. I enjoy working with all breeds and levels! Competed Dressage at Devon on a young horse I started and trained myself. Lara Borson Knight was raised in Catharpin, VA on a small farm nestled on the edge of the Manassas Battlefield National Park. She grew up galloping down the trails on her mother’s retired arabian endurance horses, participating in Pony Club, and eventing under the direction of Deanna Vaughn. In 1993 she discovered the sport of equestrian vaulting which is best described as gymnastics on horseback. After a few years she was invited to become a member of the US Friendship Vaulting Team and performed nationwide with them. Retiring from the competative side of vaulting in 1999, she continued to coach her home based team, Virginia Vaulters, as well as coach/clinician other teams to numerous awards and championships until her relocation to Nashville, TN. 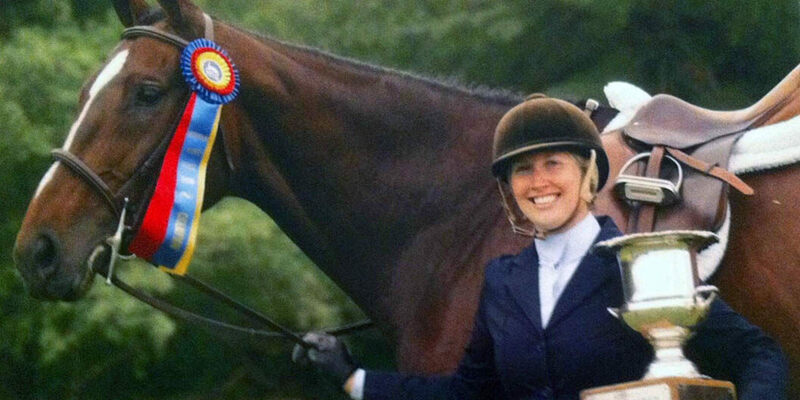 Upon moving to Nashville in 2003 Lara once again became competative in three-day eventing. Though she still occasionally does clinics for vaulters, she loves teaching eventers and starting young riders. “Being able to start someone out right and give them a good foundation is very rewarding to me. And with my background in vaulting as well as riding, I offer a slightly more unique lesson for my beginning riders that they wouldn’t find elsewhere. We center on balance, rhythm and harmony with the horse and classical prinicples.” Lara has been blessed to train with world notable masters such as: Torrence Watkins, Phillis Dawson, J. Beal, Stephen Bradley, Dominique Barbier, and Monty Roberts, Leslie Law, Phillip Dutton, Jimmy Wofford and Dorothy Crowell. As well as running her competative training barn in Nashville, Lara is also the Head Trainer of the Maker’s Mark Secretariat Center located in Lexington, KY, a non-profit organization dedicated to the reschooling of OTTB’s for second careers and adopting them to new families. Horses have always been and integral part of Lara Knight’s life and since discovering the sport of Eventing she has never shied from the hard work and dedication necessary to make opportunities to keep pursuing her dream of representing the US in international competition. 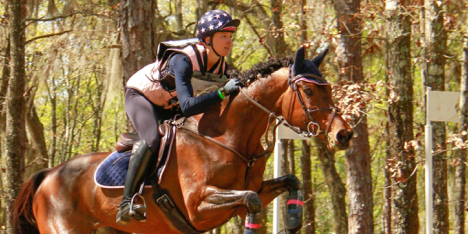 She currently competes at east coast based events (Chattahoochee Horse Trials, Jersey Fresh, Poplar Place, Ocala, and Ky Classique Horse Trials). Lara currently has a couple horses making they way up through the eventing ranks, and we look forward to seeing her at Rolex in the future! "I am a proud to be a Brand Ambassador and Team Member for Draper Therapies! My love for the Equine and K9 Agility competitive sport has been evident since a child! I grew up showing hunters and jumpers in Ontario, Canada and I am still very active in the sport today. My true passion however, and hobby is competitive dog agility. I have been training in agility for almost 10 years and have three dogs who are active athletes in the sport today. Jersey Girl is my semi-retired 11 year old German Shorthaired Pointer, Siri is my 6 year old border collie and Friday my youngest at 21 months, is a German Shorthaired Pointer and my next up and coming project with a very bright future ahead of her! I put my heart and soul and invest in their health as competitive athletes and pets. I believe in keeping them happy and healthy both on and off the training field. Just like human athletes, my dogs require on-going alternative therapies, cross training and regular physio therapy to help prevent injuries and keep them in the best shape possible which includes using Draper Therapies as my main therapeutic textile. I personally love the light weight Draper CanineTherapy Coat. I use this both pre and post training on my dogs to keep their muscles warm and helps with and stiffness or inflammation." Many countless top ten finishes in Nationals and Regionals throughout her career both in Canada and the United States. To qualify with Siri for a Canadian World Agility Team and compete in Europe! Charlotte started riding when she was just a mere seven years old and obtained her first pony a year later. She learned about responsibility from the start, and spent most of her time at the barn learning about all aspects of the horse world. After college, she declared herself as a professional in the eventing world. On October 15, 2007 she was unfortunately involved in a traumatic ATV accident that left her in a coma for a week and a wheelchair dependent paraplegic. The accident did shake her up, but did not keep Charlotte out of the saddle for long. No matter what, she has remained true to her passion and not let anything get in her way as her list of accomplishments in riding continue to grow. Jan Byyny. I worked for her during for a span of time until my accident in October 2007. She has had nothing handed to her and has worked for everything she has. I learned so much about horses and about life from her. She doesn't complain about what she doesn't have, she just keeps going for more because that is her life and that is how I want to live my life. Yeah, I am paralyzed and that stinks but, I have an amazing husband and great horse so, I'm going for it! I worked for her when she did her first four-star three-day event, so I've seen her make herself into who she is now, against the odds. That is what I want to do and I have her leading the way. My goal in life has always been to ride on the US Equestrian Team. I was not going to let anything, even getting paralyzed, get in my way. I always felt like Ben and I were supposed to do something great together. We had such incredible success when I was young, but Ben's eventing career ended prematurely due to injury. At age 20, I have pulled Ben out of retirement for the third time to be my Para partner. He will be the first to admit that he isn't the fanciest warmblood out there with long, floaty steps but he will never spook and he is a very good mudder! This is my first year as a Para rider and "Saint Ben" is absolutely perfect. He has an incredible presence in the ring and metronome paces and that makes it easier for me to be more accurate in my tests, which actually holds a lot of weight in the Para tests. I am thankful to be able to try and fulfill my lifelong riding goal with Ben as my partner. Minikus began showing at the grand prix level in 1985. Minikus rode to four grand prix wins in 1989 and then took the show jumping world by storm in 1990 with an unprecedented sweep of all open jumper classes at the Washington International Horse Show, including the President’s Cup. His record-setting performance earned him Washington’s Ennis Jenkins Award as Leading Rider (he was both Leading Gentleman and Leading National Rider) to go with that year’s Midwest Grand Prix Rider of the Year award. Now, year after his initial grand prix debut, Todd is one of the top jumper riders in the country and his superior riding and horsemanship continue to make him a fixture on the hunter/jumper circuit. 1997 – winning $100,000 Budweiser American Invitational in Tampa, Florida 2001- 2001 wins included the $50,000 Rio Vista Grand Prix at HITS Culpeper II, the $100,000 Cosequin Grand Prix at HITS Catskills IV, the $100,000 Rolex/USET Show Jumping Championship at the Bayer/USET Festival of Champions at the US Equestrian Team Olympic Training Center in Gladstone, NJ, and the $175,000 Cargill Grand Prix of the United States at the CSI-A Oaks Blenheim, San Juan Capistrano, CA, Following that win, he was named USET Athlete of the Month for July. In 2001, Minikus was also named USA Equestrian Horseman of the Year and was awarded the William C. Steinkraus Equestrian of Honor Trophy. 2004-six Grand Prix wins, including a win in the $50,000 Hérmes I Love New York Grand Prix on Gardenio 2009- second-place finish in the $200,000 Budweiser American Invitational on Pavarotti as well as riding to the Grand Prix winner’s circle on Presidente and Alaska. Minikus went on to win at the Fidelity Investments Classic, the WEF 7 Grand Prix, the Grand Prix of Rotterdam, and the President’s Cup. His outstanding performances in the USEF Selections Trials for the 2010 Alltech FEI World Equestrian Games earned him a place on the long list of candidates for the final selection trials in Europe.2011- Minikus and Pavarotti won the $31,000 Winter Equestrian Festival (WEF) Challenge Cup Round 10 in Wellington, FL. 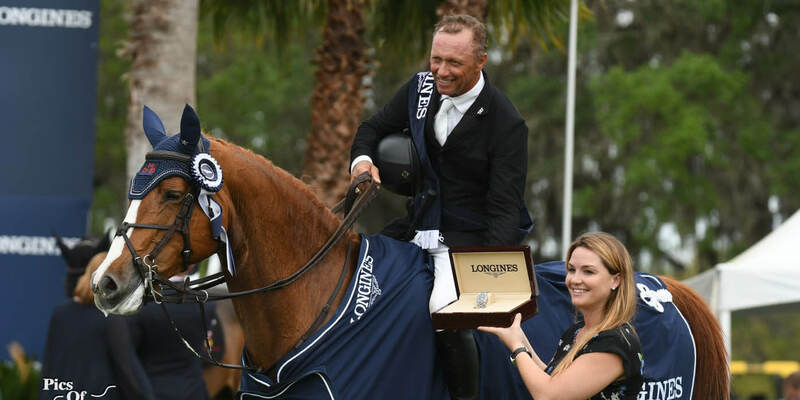 Minkius and Pavarotti went on to win the $75,000 Woodlea Farms Grand Prix at the I Love New York Horse Show in Lake Placid as well as a grand prix in Saugerties, NY. 2013- winner of the $50,000 Old Salem Farm Grand Prix 2014- winner of the $1,000,000 Zoetis Grand Prix aboard Quality Girl, first and second place in the $75,000 Horseware Ireland Grand Prix 2015- winner of the $30,000 WEF week 1 Grand Prix. When Todd isn't riding, he enjoys golf and bull riding. 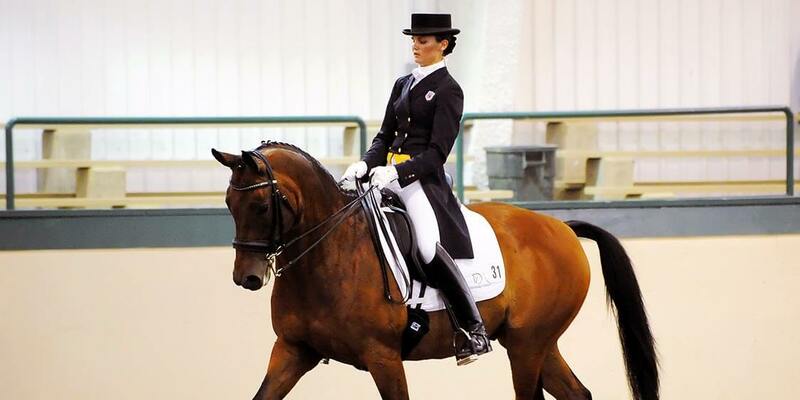 Laura Noyes has been riding and competing in dressage since she was five years old. From Falmouth, Maine, she recently just finished her B.A. in Zoology from Ohio Wesleyan University. She has trained with Tina Brooks, Sue Jaccoma, Kathy Connelly, Klaus Balkenhol, and for the past five years has been working with George Williams. Her most well known partner is Syncro, who she started with at First Level and has climbed the levels all the way to Grand Prix. She also has been training her mother's horse, Galveston, since he was purchased as a five year old in 2008. She plans to debut him at Grand Prix in 2012. She had a very successful young rider career, having won team silver and individual gold at the North American Young Riders Championships, 2008, as well as two invitations to represent the United States at the Young Rider World Cup in Frankfurt, Germany, 2006 and 2008. In 2009 she won the prestigious Lionel Guerrand-Hermes Trophy, presented by the United States Equestrian Team Federation to a young rider in any of the Olympic disciplines that represents the teams ideals of horsemanship and sportsmanship. 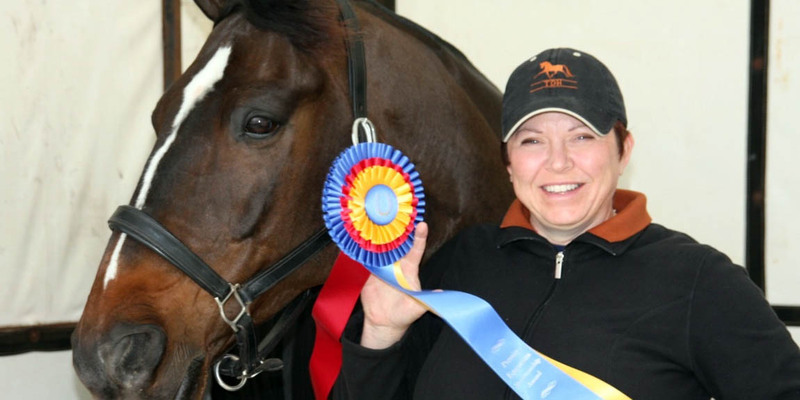 After graduating from the young rider ranks, Laura declared herself as a professional and started her own training business, Laura Noyes Dressage, LLC. Laura is currently traveling throughout the New England area to teach and is accepting new horses in training. To train and compete dressage horses at the international level, while keeping the health and fairness to the horse as the number one priority. Selena Jade O'Hanlon started eventing at age nine and by the time she was sixteen, she earned a place on the first of many North American Young Rider teams. From this first international involvement, there was no stopping Selena. 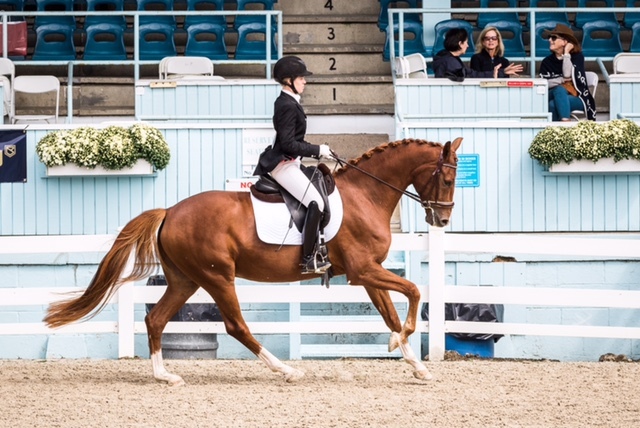 She worked hard and brought on horse after horse for her mothers's sales barn, taking most of them to Preliminary level whilst dreaming of being at the Olympic level. Selena brought her own mare through the levels from Novice to Advanced before being given the ride on Columbo, her star horse since 2006. This partnership showed talent right from the beginning and in 2008, Selena achieved her Olympic dream, representing Canada in Hong Kong Olympic Games. Take life by the horns and ride it like you stole it! Alexandria began riding at a very young age and was very active in Pony Club and foxhunting as a child. As a young junior rider she rode mainly jumpers and rode in her first Fidelity Jumper classic at age 12. She also competed in the "big equitation", and qualified/competed at the USEF Medal and Maclay Finals. As a young adult she mainly focused on hunters and eventually hunter derbies. Alexandria still fox hunts occasionally with the Norfolk Hunt Club and competes in field hunter trials. Alexandria has successfully run and managed her own training operation in southeastern Massachusetts for over 6 years. She specializes in young and/or green horses, as well as training and sales. 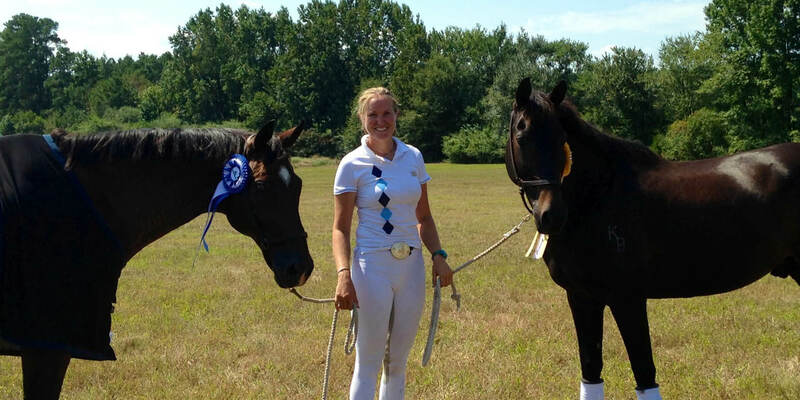 Alexandria has coached her clients to many wins in the equitation, jumper, hunter, and pony rings. She continues to bring along young horses and can often be found showing in hunter derbies on the east coast. To be able to compete in Kentucky at the USHJA Hunter Derby Finals. Cassidy Sitton Reese brings over 20 years of horse experience in a variety of disciplines to her Zebulon, NC-based business. She grew up on a breeding/training farm, rode throughout high school/college, worked for US and Canada High Performance riders before branching out to start her own business over five years ago. She currently has horses competing from Starter through Intermediate level eventing, in addition to dressage and jumpers. She brings a fresh perspective to riding for her clients that focuses on safe, fun practices to progress and achieve goals. My Mom! There's no one else I've met who can read a horse like her - I love it when she comes to visit and fixes all my horses! Goal in Life: To continue to develop a business that produces confident, successful and well-rounded horses and riders. Michael began riding at the age of twelve in his native Canada. During his early years he took several working student positions under Wayne McClellan, Robert Meilsoe, Ken Berkley and Gary Zook. He was also fortunate enough to work extensively with many renowned trainers including Scott Stewart, Missy Clark, Bob Braswell, and Anne Kursinski. 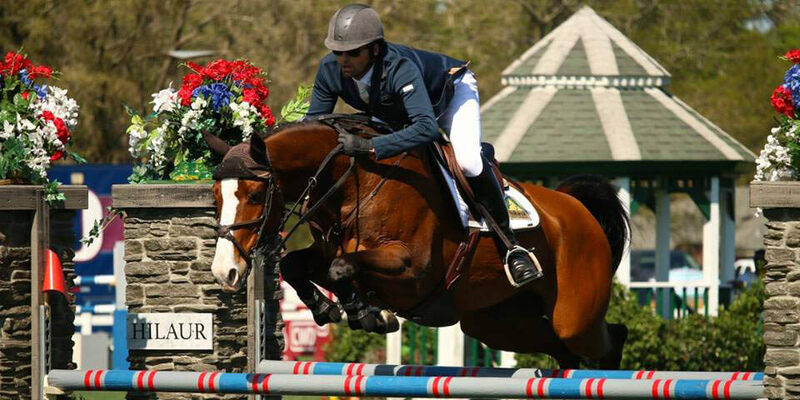 Michael's junior career was highlighted with equitation wins at Devon and Palm Beach. Michael ended his equitation career by earning ribbons in the USET, CET, and AHSA National Medal Finals. He has trained students to victories at the biggest shows in the nation. 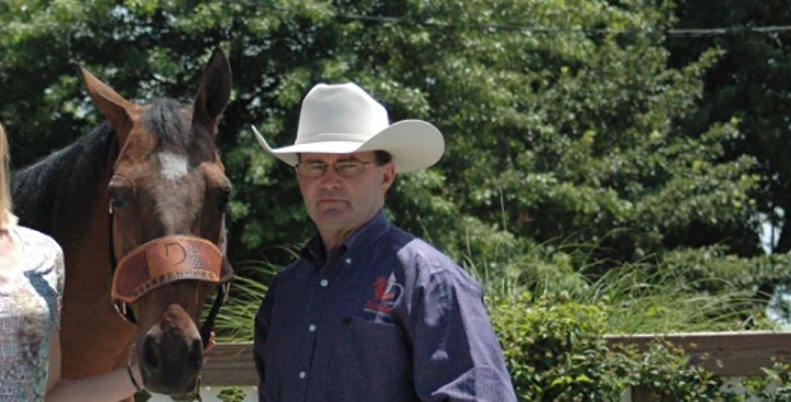 He is dedicated to giving back to the equine industry by serving on several national and regional committees and is a highly sought-after clinician. He looks forward to representing his home country of Canada in international competition during the years to come. 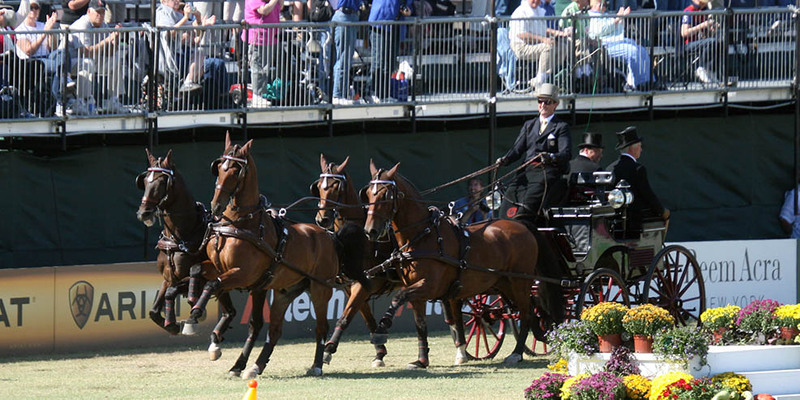 Combined Driver Chester Weber, whose name has become synonymous with Four-in-Hand driving throughout the world, achieved what no other driver has even done before when in March of 2010 he won the USEF National Four-In-Hand Championship for a record eighth year in a row. Well known for being a driver who sets goals and achieves them, following his eighth win Weber turned his attention to the 2010 Alltech FEI World Equestrian Games. Held in Lexington, Kentucky, WEG marked the third time that Weber proudly represented the United States at the prestigious World Equestrian Games and thanks to his phenomenal effort, the US Team captured the silver medal. A phenomenal 2010 comes on the heels of a stellar 2009 in which Team Weber dominating the Four-In-Hand division by winning all events entered. Weber won the prestigious CAI-A Live Oak International, a world class qualifying competition that draws top competitors to Ocala each year and is considered to be one of the premiere Combined Driving events in North America. Team Weber also won the FEI division for Four-In-Hand horses at the Sunshine State FEI Combined Driving Event in Ocala.